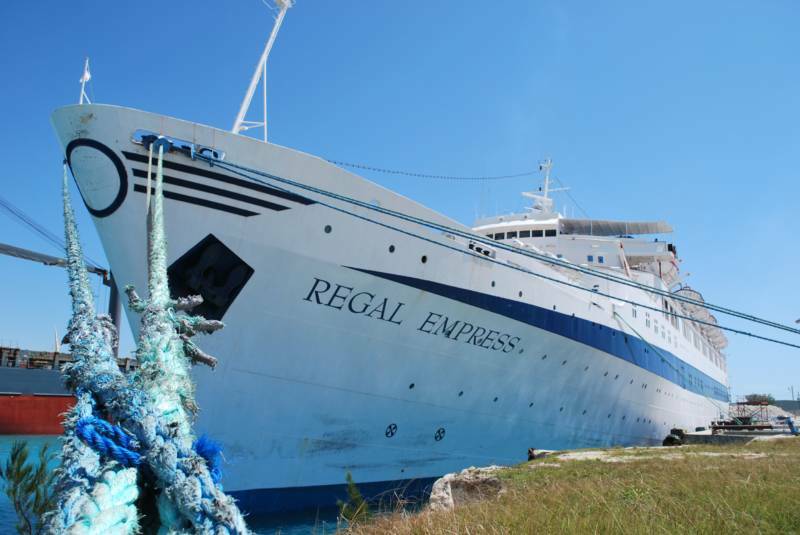 With more than 50 years of service to her name, the REGAL EMPRESS was an unparalleled vessel. No doubt this 'Regal' lady was the last of her kind, an amazing survivor of the 1950's era reflecting ocean liner decor that is quickly escaping our grasp in this day and age. 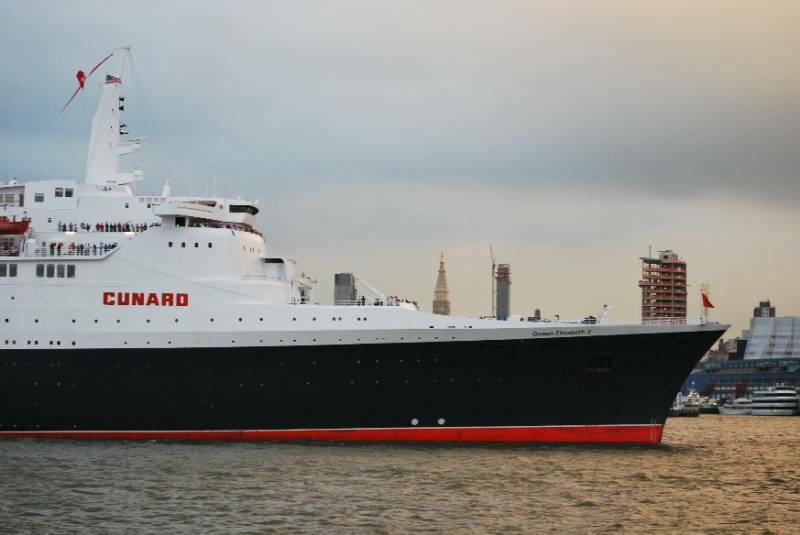 The fact that she sailed well into the 21st century is nothing short of remarkable. The majesty of this virtual time capsule featuring real wood and brass - the likes of which will never been seen again - in more ways than one will live on here. The sun has finally set on the career of the OLYMPIA/REGAL EMPRESS after weathering the test of time for over five decades. 1953- 2010. Explore the majesty of this timeless classic deck by deck, fore and aft. Over 180 photos tell the story of this once floating museum. The Classics are remembered here. 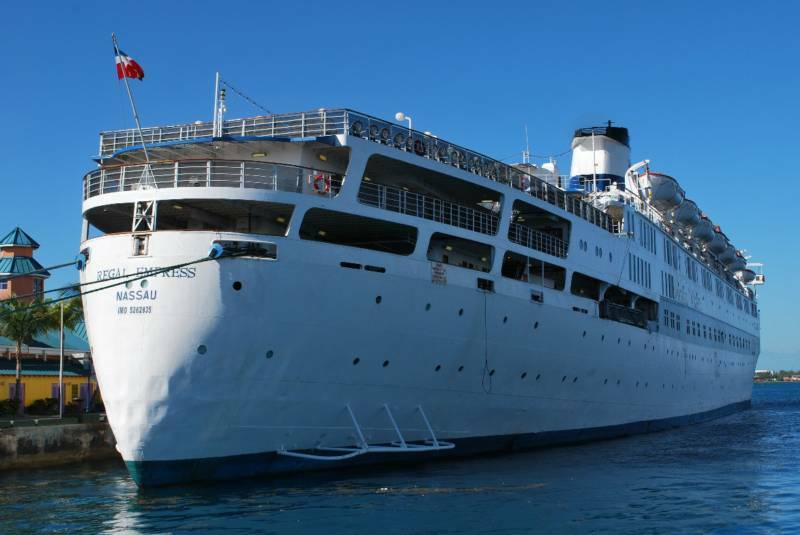 The S.S. OCEANIC is one of the very last steamships in service today; and certianly extremely lucky for outliving all of her contemparies built before and after her introduction in the mid 1960s. 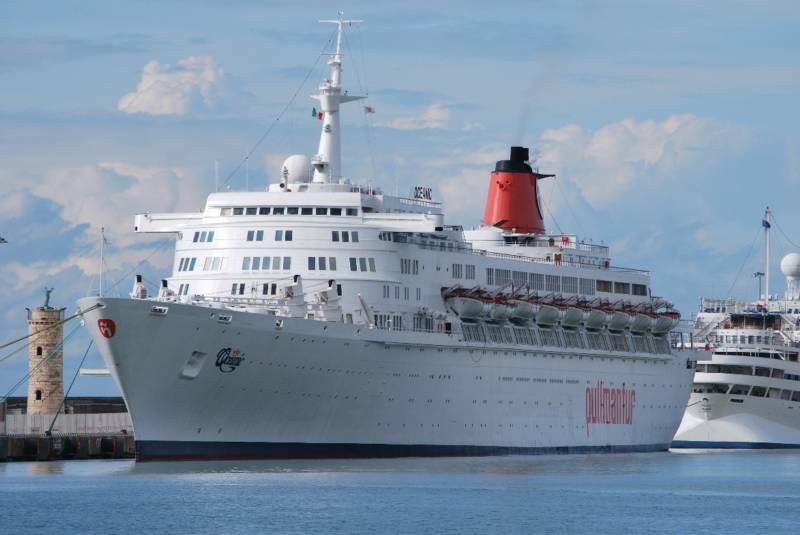 She sails on today as testimony to a strongly built liner for the North Atlantic run and continuing on as a long serving cruise ship. The QUEEN ELIZABETH 2 hardly needs any introduction. 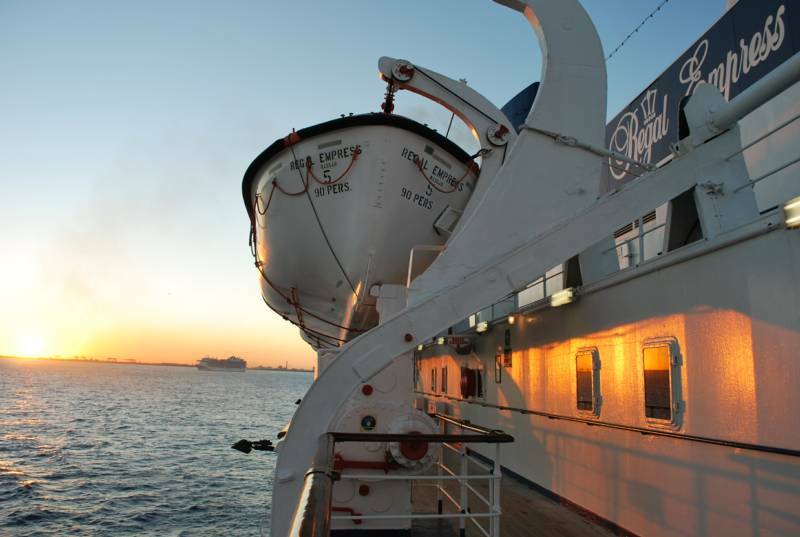 World renowned for being one of the finest examples of service & luxury that nearly all cruise ships are measured by. More importanly she was the last of her kind to make scheduled routes across the Atlantic Ocean for her entire lifespan. This is a small tribute to her legacy. 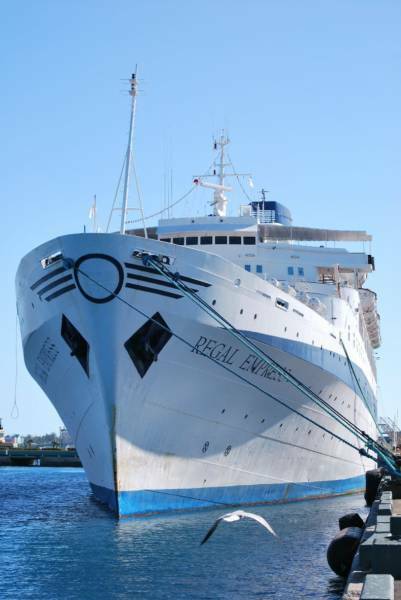 The REGAL lady at Freeport on March 24, being stripped of her artwork before her departure and long journey to Alang. Photo & copyright Rob O'Brien 2009. 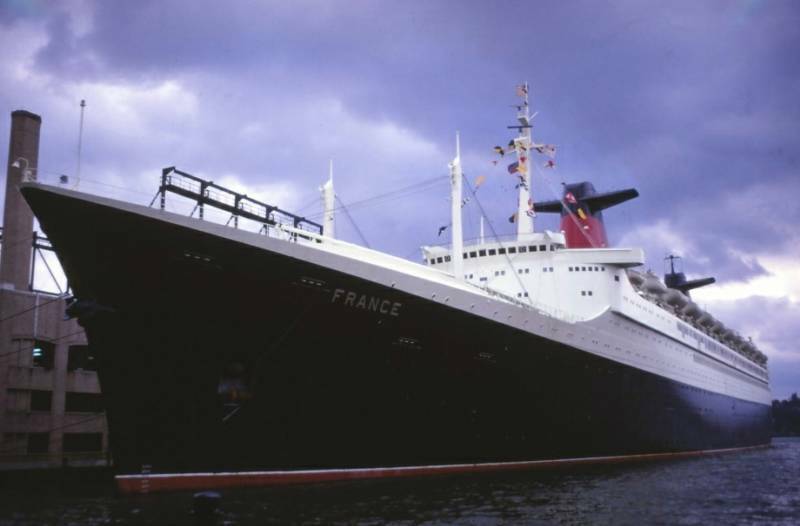 Unquestionably, one of the greatest ocean liners ever built, the career of the trans-atlantic SS FRANCE came to end by 1974. 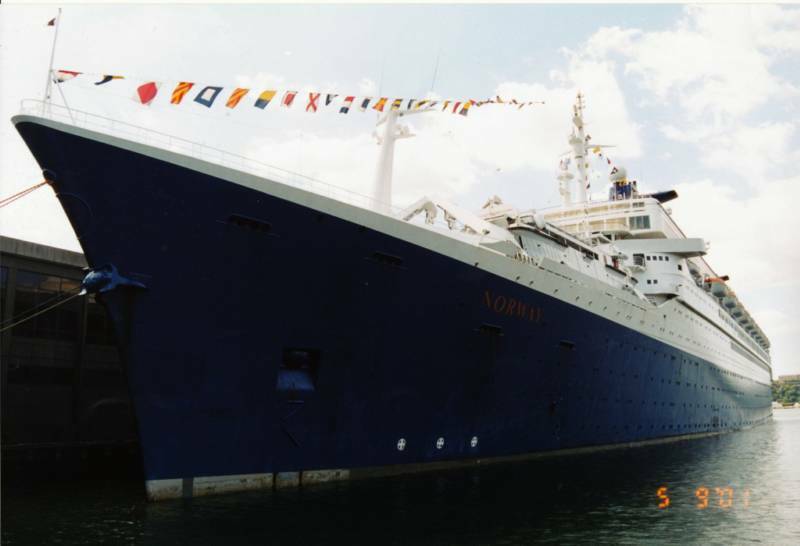 A major transformation into the SS NORWAY marked the dawning of the mega-cruise ship. 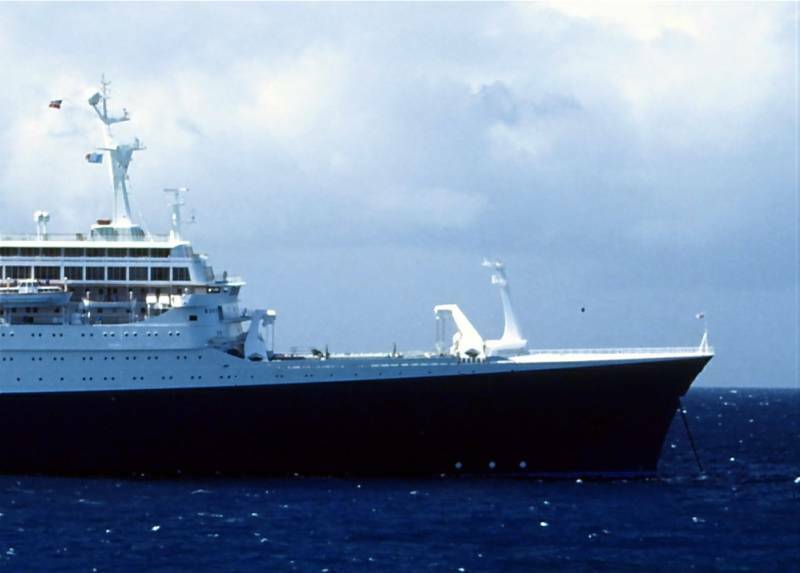 Her majesty and influence continue to be felt and reflected in todays cruise ship market. 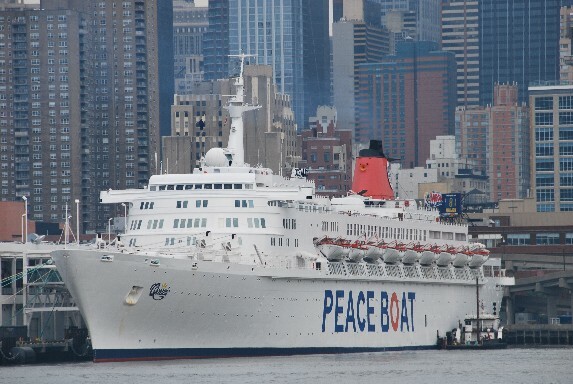 Above, the SS NORWAY tied along the New York pier for the last time. Photo Copyright, Robert E Carpenter III.